Teddy bears and horror-tinged noir may not be the first pairing that comes to mind in a game of word association, but that could change if Indiefferent Studio's Bear With Me gets the necessary support through the Square Enix Collective. Bear With Me stars a ten-year-old girl named Amber and her fluffy toy Ted E. Bear, who just so happens to be a private eye. That's a good thing, because when strange sounds wake Amber up in the middle of a dark and stormy night, she discovers that her brother Flint has gone missing. With Ted's help, now it's up to Amber to get to the bottom of the mystery, but it won't be easy because "something very strange is going on in the house. There is a Red presence which does not seem friendly at all." Adding even more intrigue, the "plot thickens while you are given the opportunity to control both Amber and Red and thus shape the hunter-hunted scenario." This game promises a unique blend of elements. 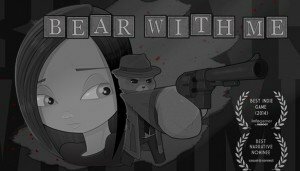 Although its "cute" hand-drawn art style is cartoony in nature, Bear With Me is presented largely in black and white, as befits its noir-themed influence. 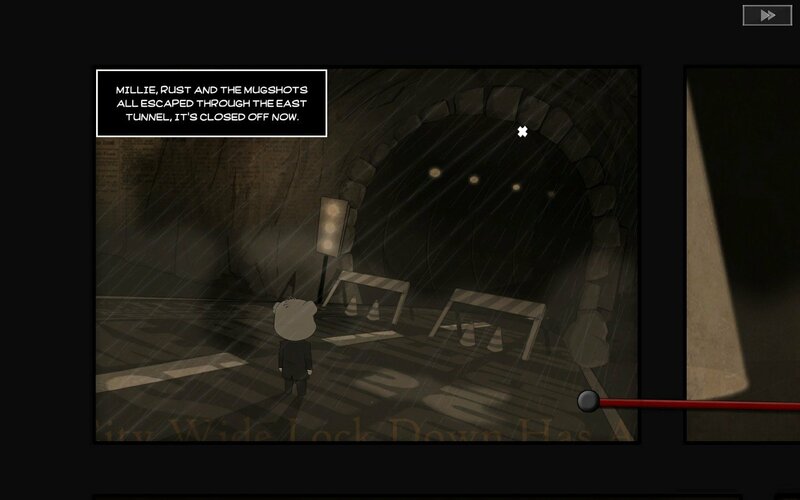 The atmosphere will be steeped in horror, and yet the developers promise a script "full of puns, sarcastic, dark and funny." 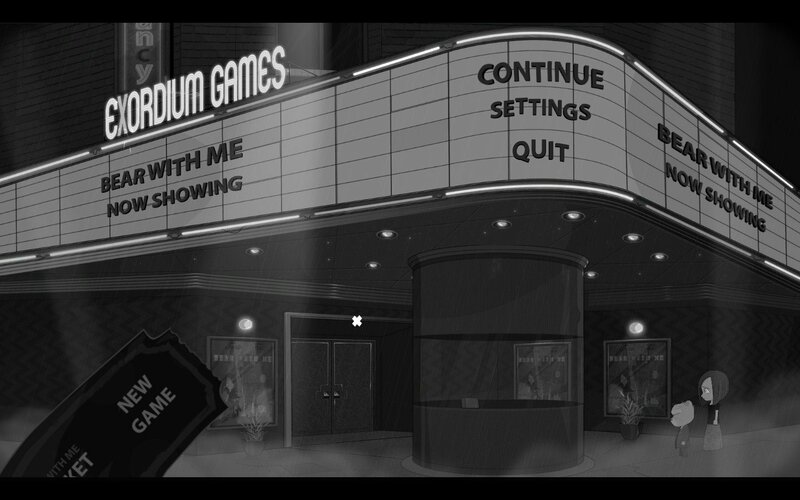 The gameplay and point-and-click mechanics follow in the classic LucasArts tradition, involving "hundreds of interactive items", many of which can be collected and combined in inventory, and numerous conversations and interrogations to engage in. The ability to play as both Amber and her hunter Red also gives players the "ability to control the non-linear story and make choices [of their] own." If you'd like to experience this curious mix of styles for yourself, you can already do so as a playable alpha demo is available for PC and Mac. If you like what you see, you can support Bear With Me through Steam Greenlight and the Square Enix Collective, which helps promote select indie projects through to completion. There is currently no timeframe for Bear With Me, as public support at this stage could determine whether the project is pursued further at all, or how soon it can be completed. Bear With Me: The Lost Robots joins Flint, the brother whose mysterious disappearance is key to Bear With Me’s central episodes, for a journey where he encounters new and memorable characters and unveils locales distinct from the rest of the series.